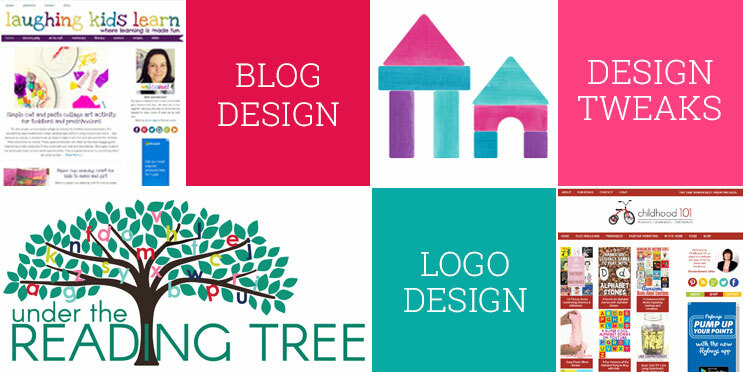 You can find some examples of my blog and logo design work here. Genesis framework and child theme with static home page (depending on child theme) or traditional blog home page. Custom title, sidebar, and content fonts. Custom tweaking of the general layout and design to match your needs. A self hosted wordpress site with wordpress already installed. Some content on your site – you need to have created any pages or categories that you want included in your menus or navigation. Print resolutions files of any images you want included. Ideas of colours, fonts, and styles that you like and be willing to chat about your blog and your goals. Email me and let me know some details of what you need. I’ll get back to you asap and let you know what sort of wait time there is and approximately how long the project will take. I’ll also send you a questionnaire to fill in so I can find out your goals, needs and wants for your website. Once I have your answers I’ll get to work creating 2-3 design concepts for your logo/header and a mock up of your site. Once you’ve chosen your design from the mocks ups I’ll send you an invoice for 50% of the costs. Then I’ll create a live version of your design on my test site for you to play with so we can make some final tweaks. If you’d like more information or you’d like to book a ‘Simple Awesome’ package you pop over here and send me a message. A custom designed logo combing images, text and design elements. I’ll also send you a questionnaire to fill in so I can find out your goals, needs and wants for your logo design. Once I have your answers I’ll get to work creating 2-3 design concepts for your logo. Then I’ll create a logo file for final approval. If you’d like more information or you’d like to book a custom logo package you pop over here and send me a message. Up to 2 small ‘tweaks’ or changes to your blog design to make more user friendly. This package does not include layout changes or custom design elements. Email me and let me know what tweaks you need done. Make sure you include a link to your blog. I’ll get back to you asap and let you know if the tweaks are doable, give you a price (if you need more than two tweaks), and let you know a time frame for getting the work done. Once we’ve agreed on the tweaks I’ll send you an invoice and get to work foxing those niggly little problems. If you’d like more information or you’d like to book some deasign tweaks you pop over here and send me a message. I am currently only working with self hosted wordpress blogs for blog design packages. There is nothing wrong with using Blogger, or Squarespace or any other platform for your blog, but each platform has different coding and design needs, and self-hosted wordpress is what I know best. I can design a stand alone Logo for any blog platform or other use. I can also do some tweaks for Blogger and Squarespace blogs, so get in touch and I’ll let you know if I can help.